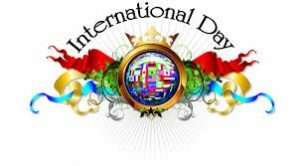 Join the Ephesus Seventh-day Adventist Church for our 2ND ANNUAL INTERNATIONAL DAY Saturday February 24th! Our guest speaker will be Dr. Abraham Jules and we’ll have beautiful inspirational music provided by the A.H. Parker High School Concert Choir beginning at 10:30 am. An International Social is planned for the evening beginning at 6:00 p.m. in the fellowship hall, admission is FREE and will include an INTERNATIONAL FOOD TASTING for $5.00 per person. Mark your calendars February 24th and plan to join us for an INTERNATIONAL DAY of PRAISE & WORSHIP. The Ephesus Seventh-day Adventist Church located at 105 6th Ave. North in Birmingham. For directions visit our website at www.birminghamEphesus.org. We look forward to seeing you there! Come out Sunday March 4th from 2-5pm, to the Birmingham 1st Seventh-day Adventist church gymnasium, for a free health expo! You can take advantage of glucose and cholesterol screenings, get a massage, learn about hydrotherapy including demonstrations, and hear about lifestyle practices that will benefit your whole family. Lifesouth blood mobile will be on site taking much needed blood donations. There’s something for the whole family! Come out and enjoy and evening of good food and great fun with Chef Mark Anthony. Chef Mark has appeared on ABC, NBC, 3ABN, ESPN, and is seen regularly on Smart Lifestyle Worldwide television. Having traveled around the country Mark Anthony makes healthy vegan cooking fun while sharing important information about healthy living! The event is FREE and no Registration is needed. Come out and enjoy a great vegan meal and an entertaining and informative evening. Redeemed by Grace Ministries will be holding a Women and Young Adult Symposium titled "Let's Talk About Unmasking". This symposium will include discussions on several topics such as the Opium Epidemic, Women and Depression, and increasing faith to increase self-esteem. Beginning Thursday April 5th at 7:00 pm. 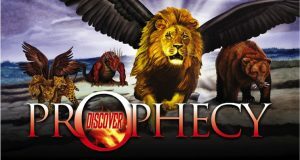 See how Bible prophecy unlocks the future and brings an eternal hope for today! Join speaker Johnny Morquera as he unlocks the symbols and mysteries of Daniel and Revelation during this weekly series that will run from April 5th - May 5th. Child care is provided FREE! For more details call 205-987-7208. New Life Interfaith Ministries invites you to a Superman Breakfast honoring Fathers & All Men on Saturday, June 16, 2018 at the New Life Center of Excellence located at 1622 7th Avenue North, Bessemer, AL 35020, 8:30am – 10:30am. Each guest will enjoy a morning of exceptional food, fellowship, complimentary massages, entertainment , prizes and more! This will be an exciting time for all men, fathers, uncles, brothers and friends! For more information call 205-425-4735. Bring you children out to enjoy Bible stories, nature lessons, and crafts. This VBS is designed for children entering K4 through 6th grade. 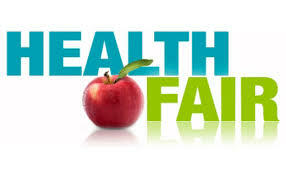 Come watch a wonderful presentation on how to live healthy lives delivered by health educator Walt Cross. In his seminar titled “Old Mountain Remedies” Walt Cross uses his extensive knowledge and personal experience to bring natural health to the common man! This seminar begins Saturday August 11th at 9:30 am and continues throughout the day until 4:30 pm. On Sunday the 12th Walt will be demonstrating the application of natural remedies from 10:00 am – 3:00pm. Stay connected with Ephesus Church September series: Understanding the P's in Your Life. Each topic begins on Friday evening at 7:00 and continues Saturday morning at 11:45 am. You can learn more about use by visiting our website or our Facebook page or call us at 205-252-7490. 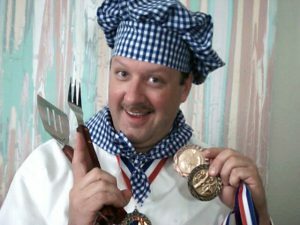 Bobby's Bunch, a character-building youth education program, in Birmingham Alabama, is inviting youth between the ages of 8 and 12 to audition and join its original character, Bobby Peter, on his parade float in his salute to our nation's veterans in the Birmingham Veteran's Day Parade November 11, 2018. B-O-B-B-Y-S-B-U-N-C-H@gmail.com. Videos are not required to be studio-quality, so feel free to use a cellphone, ipad, or any video-recording device. Audition video deadline is September 25, 2018. Mt. Olive Seventh-day Adventist church is located at 112 West 29th Street in Anniston. Hoover Christian School is inviting everyone to their Fall Festival Sunday, October 14, from noon to 3:00 pm at the Birmingham First SDA Church gymnasium located at 3520 Lorna Rd in Hoover right next to Aldridge Gardens. Cornerstone of Health in Cottondale will be hosting a special health program titled “Fall in 2 Health” featuring Dr. Eric Walsh. Doctor Walsh is a board certified physician in Family medicine, Preventative medicine, holds a masters degree in Public health. Dr. Walsh has spoken around the world and seeks to lift up Jesus has he serves people. This program is FREE and open to the public and will begin Saturday October 20 at 11:00 am and continue Sunday October 21st from 1-4pm. For more information call 205-765-8777. Alabama Spay/Neuter is proud to announce that PetSmart Charities, the leading funder of animal welfare in North America, is sponsoring free spay/neuter surgeries to dogs and cats living in Bessemer through a program called SNIPsmart! Qualifying, low-income households and community cat caregivers can have up to 5 dogs and cats fixed for free. Households must be enrolled in one of the following programs: Medicaid, Disability, WIC, SNAP, Welfare, SSI, Hardship Determination Program, and TANF. Stray or feral cats also qualify for free spay/neuter surgery. These community cats need to be dropped off and picked up in a humane cat trap (no squirrel traps) on Mondays or Tuesdays. All stray, neighborhood cats will be ear tipped to show that they have been sterilized and have a caregiver. Dogs and cats which aren’t current on their rabies vaccination will receive one and the owner will be charged $16 per animal receiving a vaccination. To schedule your appointment or for more details about SNIPsmart please call Alabama Spay/Neuter at 205-956-0012 or 1-877-334-9738. STAIR (Start The Adventure In Reading) – is a local nonprofit that serves 12 Birmingham City Schools, providing one-on-one tutoring for second graders who need help in reading. STAIR is looking for volunteers who can commit to tutor one afternoon a week, after school for 1 ½ hours. Training is provided and no teaching experience is needed. Volunteer tutors can choose a location that is convenient for them. For more information or to sign up visit www.stairbirmingham.org. Residents of Bessemer can sign up for the city’s New Citizens Notification System by visiting the city’s website at www.bessemeral.org. Morning Manna Prayer Ministry Sunday through Friday at 5:30 AM. Call 712-432-0075 and enter code 748 339. LIGHT MY PATH MINISTRIES Telephone Bible Study meets each Sunday and Tuesday at 6:45 am. Please join us for Bible study and learn about salvation through Jesus Christ and God’s will for your life. To dial in call 1-712-432-0075 and enter code #133394.